Do you have an upcoming trip, want to brush up on your high school French, or just love learning? If you answered yes, then Rocket Languagesopens a new window is for you. We understand that learning another language can be a challenge. With Rocket Languages, learning a new skill has never been easier. You can learn 15 different languages including: Arabic, French, German, Mandarin, Hindi, Italian, Japanese, Korean, American Sign Language, Spanish, Brazilian Portuguese, English for Spanish Speakers, English for Japanese Speakers, or Russian. All you need is your library card. Rocket Languages makes learning fun with interactive audio lessons that can be completed at your own pace. The program tracks your progress through benchmarks and allows you to test your understanding with voice recognition—providing certificates when you have finished each module. Rocket Language's voice recognition program lets you record yourself saying words and phrases. In response, the software rates your pronunciation to help improve your skills. Rocket Languages allows you to take notes and create flash cards as you go, helping ensure the lessons stick with you. The Rocket Languages Forumopens a new window is the place to go with any questions about your lessons or the language you are learning. Chat with tutors and other learners, and take part in threads like "First-Time Travel to China," or "Egyptian Arabic Sentence Structure." Your Halifax Public Libraries' library card is your free ticket to Rocket Languages. 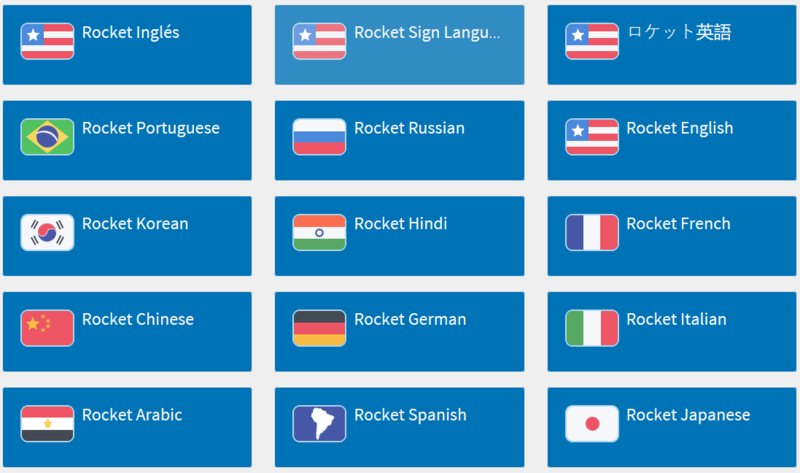 Rocket Languages works in your browser (and is optimized for Chrome), or you can also download the iOS and Android apps for learning on your mobile device. 1. Visit this linkopens a new window, search for "Rocket Languages" in our website's search bar, or find it under our E-Library of Online Resources. Check out the video below to get a sense of the Rocket Languages experience. Questions? Interested in sharing your Rocket Languages experience with us?